Image credit: Sierra Nevada Brewing Co. 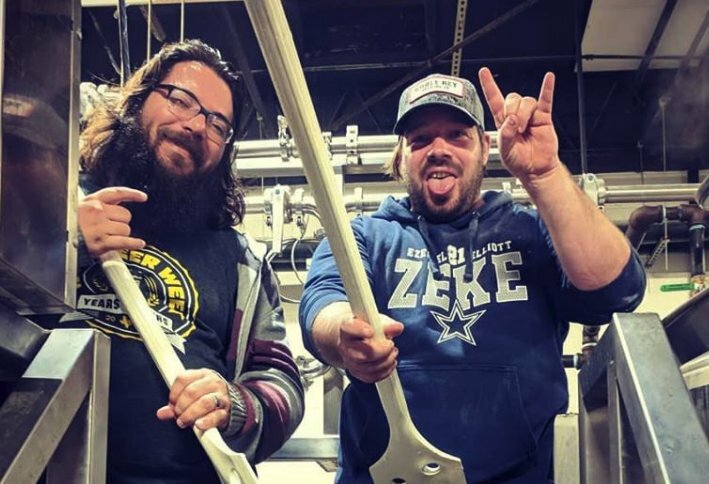 In honor of Giving Tuesday, multiple North Texas breweries are manning the kettles as we speak, all of them working to brew a beer to help communities devastated by Camp Fire in Butte County, California. It's part of a collaborative endeavor put together by Sierra Nevada Brewing Co. of Chico, California. 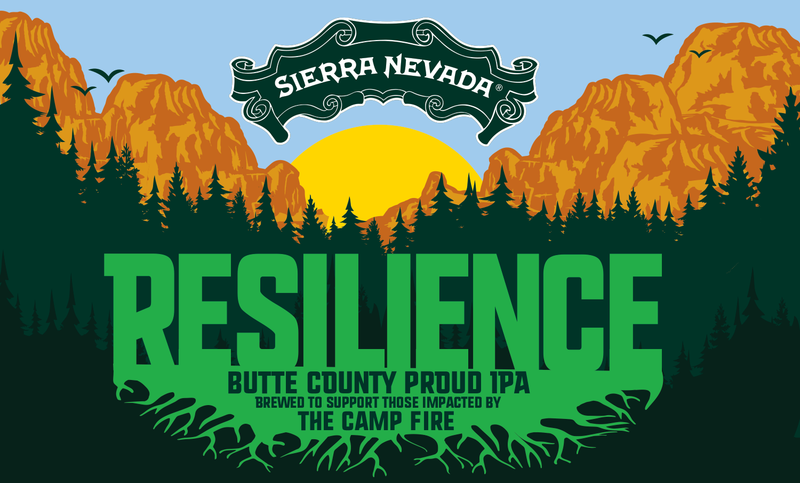 Earlier this month, the company announced the upcoming release of Resilience Butte County Proud IPA, a beer created as a way to raise funds for those affected by the tragedy. In addition, Sierra Nevada pledged that 100% of proceeds from the sale of Resilience will be donated to the Camp Fire Relief Fund. To expand the effort, Sierra Nevada asked brewers across the country to assist as well, with over 1000 breweries now having answered the call. As for who has signed on from around North Texas, known participants are listed below. Sierra Nevada is providing the recipe for the beer to these (and likely other) area breweries, and in some cases ingredients have been donated from national and local suppliers (i.e. Texas Brewing, Inc. of Haltom City). Keep tabs on social media to find out when Resilience Butte County Proud IPA will be on tap at these locales in the coming weeks, and be sure to stop in for a pint to aid the cause. You can also donate directly, with instructions on how to do so found by clicking here. 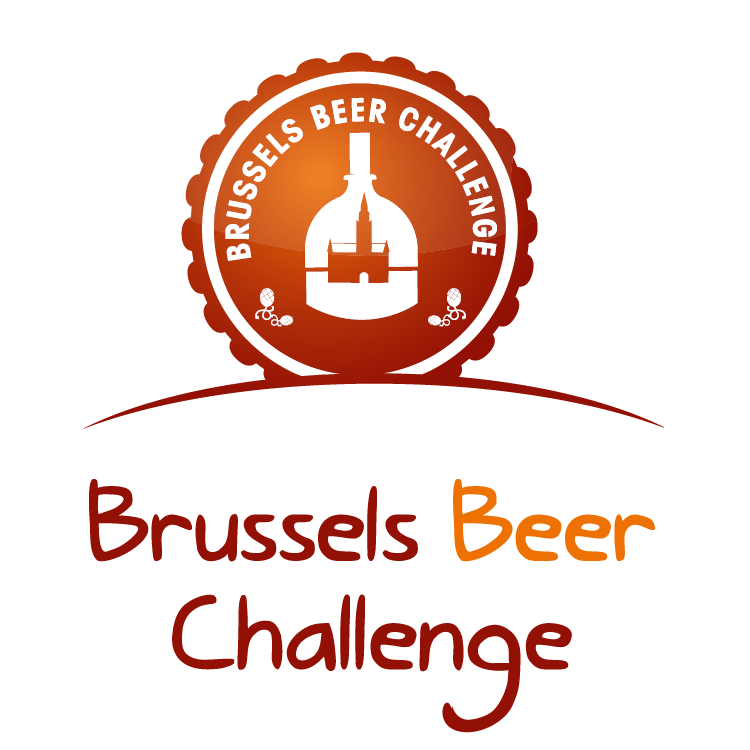 Two areas breweries were recently recognized at the 2018 Brussels Beer Challenge in Belgium. A relatively new event, the Brussels Beer Challenge was originally organized in 2012. It's the first professional beer competition to be held in Belgium, with the event rotating among different host cities each year. For 2018, the city of Mechelen was the setting for the international competition, where beers were evaluated by 92 judges from 28 countries. Award-winning beers from North Texas breweries are summarized below, while a complete list of medalists can be found by clicking here. Gold for Local Legend in the Flavoured Beer: Sweet/Milk Stout category. Gold for Pumpkin Ale in the Flavoured Beer: Pumpkin Ale category. Silver for Oktoberfest in the Lager: German-Style Märzen category. Cheers and congratulations to Deep Ellum and Rahr & Sons! Labels: award winning beers, Brussels Beer Challenge, competitions, Deep Ellum Brewing Co., Rahr & Sons Brewing Co. The list of subjects covered in this edition of the Conspectus includes an international award, one brewery's charitable activities and the introduction of two new names to the North Texas scene. 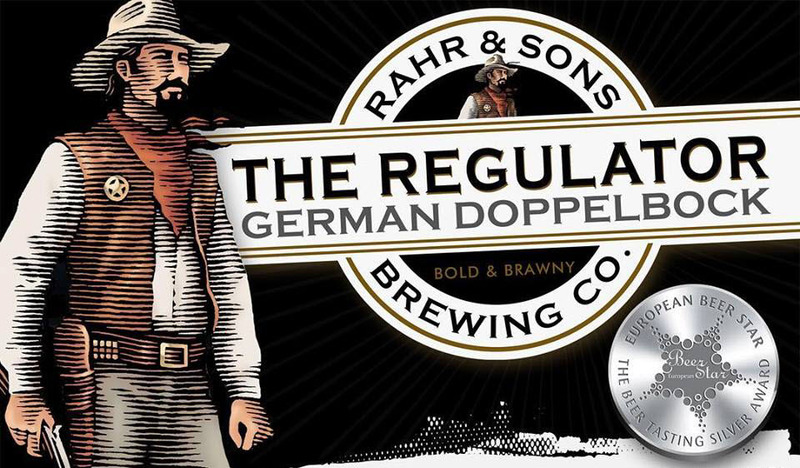 Rahr & Sons Brewing Co. of Fort Worth earned a silver medal for The Regulator in the German-Style Heller Doppelbock category at the 2018 European Beer Star competition. The international event, which drew 2300 entries from 51 countries, focuses on beer styles of European origin. Click here for a complete list of winners. 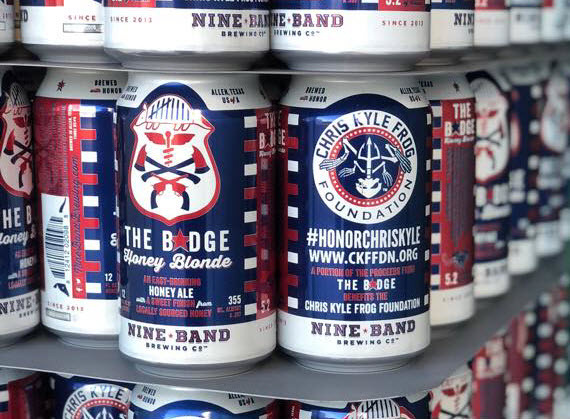 Earlier this month, Nine Band Brewing Co. of Allen launched a new partnership with the Chris Kyle Frog Foundation (CKFF). Centered around the brewery's easy-drinking honey ale, The Badge Honey Blonde, a portion of the proceeds from sales of the beer will go to CKFF for the benefit of military and first responder families. In other Nine Band news, the company is now brewing at its location inside the Osage Casino in Tulsa, Oklahoma. 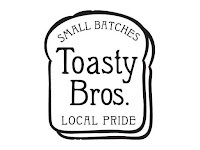 The Denton-based company, Toasty Bros., will soon begin operations after entering into a joint proprietorship with Hop & Sting at Grapevine Craft Brewery. Founder Brian "Toast" Tiensvold intends to brew small batches for sale at accounts in Denton, with the long-term goal of opening a taproom and brewery in the city. One of his beers, Maison Saison, was featured as part of Barley & Board's Home Brewers League program. 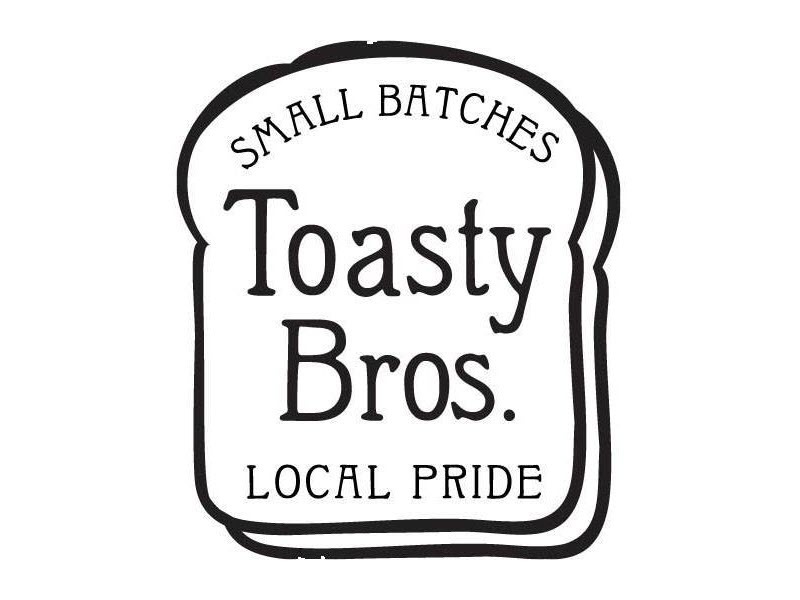 A TTB license has been approved for Toasty Bros., while a TABC application is pending. An entity to be known as Beard Science has obtained a brewpub license from the TABC. The venture is one of two in the works from Brain Storm Shelter, the company behind Twisted Root Burger Co. and Truck Yard. 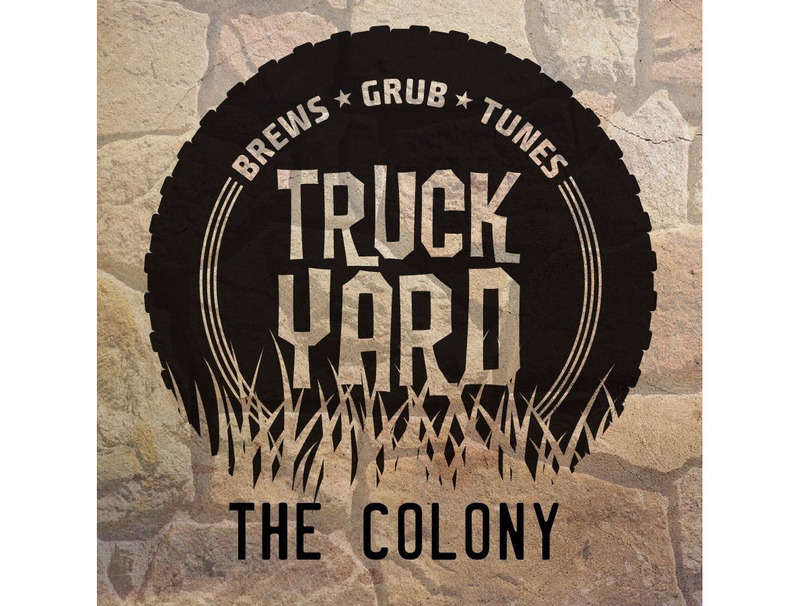 The brewpub is part of Truck Yard's upcoming site in The Colony, located in the Grandscape development at 5949-5959 Grove Ln. (east of Nebraska Furniture Mart off Destination Dr.). 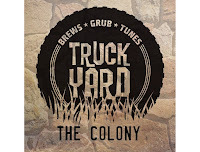 Brain Storm Shelter is also working on By The Horns Brewing Co., which is going into The Backyard project in Mansfield. Image credits (top to bottom): Rahr & Sons Brewing Co., Nine Band Brewing Co., Toast Bros., Brain Storm Shelter. Labels: Beard Science, Craft Beer Conspectus, Nine Band Brewing Co., Rahr & Sons Brewing Co., Toasty Bros.
Taproom crowds are becoming commonplace in North Texas (Armadillo Ale Works). Atmosphere, unique offerings and fresh beer from the source - those are some of the reasons beer drinkers often frequent taprooms at production breweries around North Texas. Yet, these popular destinations didn't exist at the dawn of the current craft beer boom. 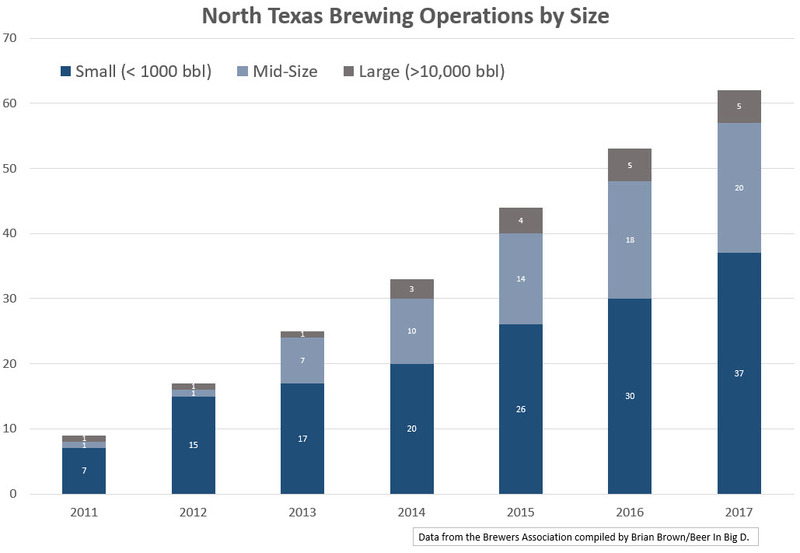 Consumers were able to purchase beer for on-site consumption at a brewpub (restaurants selling beer brewed on the premises), but operating a taproom wasn't an option for the first wave of new breweries to open in 2011, because they weren't allowed under Texas law. That ban was lifted in 2013, and in the time since, taprooms have become commonplace. 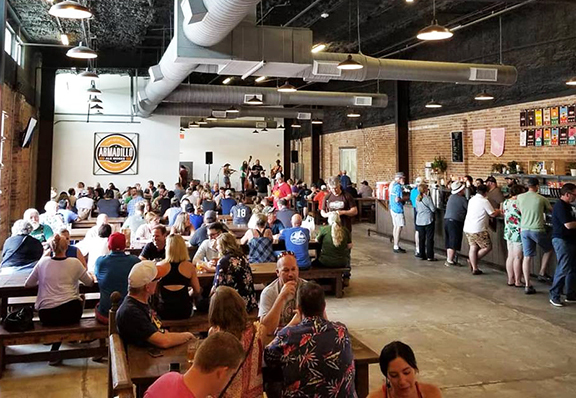 Most established breweries in Dallas-Fort Worth have added taproom space, while startups tend to have them in the plan from day one. It's come to the point that all but a few of the over 45 production breweries in the region now employ a taproom. So, what factors have contributed to the rise of taprooms in North Texas? One catalyst is the ongoing shift in market dynamics. Breweries continue to open at a breakneck pace, which means there are more brands of beer being brought to market. The problem is, wholesale and retail partners can't keep up. There are only so many taps on the wall at the local bar, and there is only so much room for stock at distribution and retail. Nevertheless, breweries need outlets to sell their beer, and a taproom offers a solution when met with limited access to placements in the marketplace. Taprooms are also good for business. The ability to sell beer at retail, rather than wholesale, prices has a discernible impact on the bottom line. This is especially important for small breweries and companies just starting out. In fact, numbers from the Brewers Association show the growth rate for smaller breweries with taprooms is nearly twice that of those depending solely on distribution. At the same time, running a taproom can complicate relationships with wholesalers and retailers who view them as direct competition. Stakeholder concerns range from being undercut on price, to being shut out on special releases that would attract more customers. In those cases, it's on brewery owners to share the wealth and to be aware of how their in-house price points compare to those of partners. From a wider view, opponents say taprooms take business away from bars and restaurants. However, data suggests visits to a taproom aren't mutually exclusive. Based on results from a 2017 NCGA OPUS survey, brewery visits didn't replace trips to the bar for a majority of consumers. On top of that, additional data says taprooms may work boost the bottom lines of partners as well. According to a Nielsen poll conducted by Harris in 2018, over half of regular craft drinkers (defined as those who consumed craft beer on a weekly basis) said they were likely to purchase more beer at other on-premise venues after visiting a brewery. At the very least, taprooms represent a place to engage and educate consumers, where they can try new beers and make a direct connection with the people behind the products. If the experience is a positive one, consumers are more likely to seek out a brewery's products the next time they are out on the town. And in that scenario, a taproom's existence benefits everyone involved. Originally published as part of a special section on NTX Beer Week in the November 1, 2018 edition of the Dallas Observer. An online copy of the complete newspaper is available by clicking here. to report may cause actual breakdown of small/mid-size/large breweries to vary slightly compared to what is shown (click to enlarge). At no time in history has there been as many breweries operating in the U.S. as there are today. Over 6000 are currently on record, and with still more in planning, an already crowded market promises to get even more challenging. Competition is fierce and breweries are experiencing slower growth. Just brewing good beer isn't enough to get by, which brings about the question of how best to navigate the now choppy brewing waters. Locally, the playing field consists of over 70 brewing companies (based on openings in 2018 not accounted for in the graphic above). Operations vary in size and scope, ranging from small-batch nanobreweries selling primarily on site, to large production breweries supporting multi-state distribution channels. With that in mind, founders from breweries big and small were asked what they are doing to stay competitive in the current business environment. Not surprisingly, strategies differ slightly for each, but the common thread among them is the belief that quality is job one. Erin Rahr, co-founder and president of Rahr & Sons Brewing Co., Fort Worth (large brewery). "Focusing on quality is going to be key for breweries to survive. There is a lot of beer out there now and people are becoming more educated every day on what tastes good and bad in the market." "At Rahr & Sons, we focus on the quality of our products and don't look to much into what others are doing. We have chosen to be very innovative with our lab, and have invested in three employees that work on quality control daily. This has also helped us keep consistency while expanding to other states." Brad Mall, co-founder of Oak Highlands Brewery, Dallas (mid-size brewery). "Obviously, quality is the number one aspect in staying competitive. Consistency is also key. I see those as one in the same - consistency is part of quality." "As a small, self-distributed brewery, we try to distinguish ourselves with exceptional customer service. It's important our accounts know they can get an immediate response from the brewery and they have the ability to speak directly with the decision makers. Because we self-distribute, we are able to be nimble and do things other distributed breweries may not be able to do. This enhances our relationship with accounts and helps us stand out." Yianni Arestis, co-founder and CEO of Armadillo Ale Works, Denton (mid-size brewery). "One important aspect is maintaining the highest quality, and that's why we made sure to have a QA/QC lab from day one at our facility." “Our goal is to have beers that are both fully flavored and accessible to all, and we feel we are able to accomplish that and stand out with our innovative brewing methods." Jacob Sloan, co-founder of On Rotation, Dallas (small brewery). "We insist on producing a high-quality product with the finest ingredients, but we are just as obsessed with offering the best craft beer drinking experience in the market. We have the ability to control the entire experience of consuming our beers, and we consider all parts of that process -- the taproom, the branding, the staff, and the glass -- as part of the product itself." "As a small-batch brewery, our quick-churning brew schedule allows us to branch out and take chances on more obscure, expensive, or experimental styles that may not seem viable to the larger breweries. We're able to introduce new beers on a weekly basis, and we are forever evolving the beers we make based on what is on the market and what people enjoy. That keeps us current and keeps things exciting for us and our customers in a way that allows us to stay competitive and relevant no matter how many breweries enter the market." Labels: Armadillo Ale Works, economics, NTX Beer Week, Oak Highlands Brewery, On Rotation, Rahr & Sons Brewing Co.
of #juicebros, a collaborative double IPA with blueberries released in July (Turning Point Beer). The juice is loose, not just in North Texas, but across the country as juicy and hazy IPAs are making a play for the title of craft beer's most popular style. Earlier this year, the Brewers Association added three "juicy or hazy" styles to its competition guidelines, and one of those ended up being the most-entered category at the 2018 Great American Beer Festival. "Juicy or Hazy India Pale Ale" wrested the top spot from "American-Style India Pale Ale," ending a reign that began in 2002. Once considered a fad by some, hazy and juicy beers now enjoy a level of legitimacy with the establishment of formal descriptions and the quick ascendancy to the top of the competition ranks. The question now: Where do brewers go from here in terms of the evolution of these highly sought-after styles? According to Matt Reynolds, owner and head brewer at Celestial Beerworks in Dallas, a first step may be to spend time improving on what's already out there. "I feel like consistency and quality are something that lacks with these styles," says Reynolds. "We hope to dial in our system and show that these beers can be delicate and well-executed like some of the other popular styles out there." 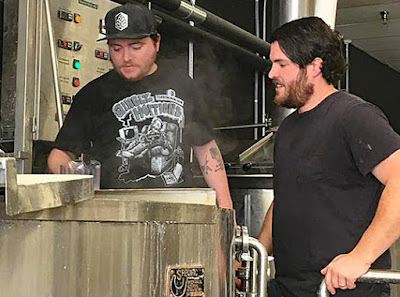 Optimizing aspects of production is also a focus for Alex Knight, co-founder and director of brewing operations at Turning Point Beer of Bedford. "We're working to get better extraction and higher volume, as well as trying to get more juicy characteristics into our beers, says Knight. "Another thing is seeing how to push the limits with more hops, while maybe increasing the malt and making more balanced beers." From there, the sky is seemingly the limit, especially considering the open-ended nature of the newly-minted definitions. Baseline characteristics only call for beers to be hazy, with low bitterness, a softer texture and high hop content. Hops can be of any variety, which opens the door to a direction Reynolds is looking to explore. "We plan to focus heavily on new or underutilized hop varieties to showcase different flavor profiles than what typically is associated with these types of beers," says Reynolds. "I love Australian hops, so we will be using those a lot in our juicy/hazy recipes." Knight believes mash-ups of existing styles are also a possibility, with brewers bringing together elements from different types of beers to form a new breed of IPA. "One thing that pops into my mind is the brut IPA," says Knight. "We've been tinkering with ideas that combine the dryness and drinkability of a brut IPA with the adjuncts and high hopping rates from juicy IPAs." Of course, brewers have already expanded on the category by adding lactose to create milkshake IPAs, while oat and wheat cream IPAs are also being made at breweries around the country. As for what is destined to be the next big thing in juicy and hazy styles, that revelation is likely to come from brewers choosing to delve into uncharted territory. Here in North Texas, breweries like Celestial and Turning Point are already operating in that realm, working to stay a step ahead as the haze craze enters a new phase. hard at work during brew day for Certified Dank (Dallas Brew Scene). In the continuing quest for fresh and novel flavor ideas, the cannabis plant has emerged as a source of inspiration, with brewers exploring the use of hemp and other offshoots in the creation of new beers. It's a category that is trending, and it's growing in popularity. Shop local shelves and you'll find two hemp beers for sale produced by out-of-state brewers. TheHemperor is a product of Colorado's New Belgium Brewing Co., while Hemp Gose comes from Goodwood Brewing Co. of Kentucky. Both are made with hemp hearts, which is what's left of the hemp seed after it's shelled. Unlike hemp leaves and flowers, which are prohibited, hemp hearts are legal and may be used as an ingredient in beer. Hemp hearts do not contain the psychoactive components, cannabidiol (CBD) or tetrahydrocannabinol (THC). "Luckily, New Belgium released The Hemperor and did the hard work for us to be able to use hemp hearts," says Tommy Miller, head brewer at Noble Rey. "Now, you can use hemp hearts in beer without special licensing in all states besides Kansas." Some might hear "hemp" and assume its dank and herbal elements influenced Certified Dank's name, but hemp hearts provide different flavor qualities compared to other aspects of the plant brewers aren't able to use. "The hemp hearts add nutty and bready flavors to beer," explains Miller. "Unfortunately, we cannot use hemp terpenes, the key flavor attributes of the hemp plant that deliver citrus, pine and dank flavors. We also cannot use hemp flowers, which would give the beer a really dank nose and flavor. Instead, we will be utilizing hops such as Simcoe, Comet and El Dorado to give the beer its dankness." In addition to hops and hemp, Certified Dank features four types of grain - oat, white wheat, pilsner and carapils malt. The mix of ingredients results in a finished beer Miller describes as big-bodied with a burst of dank hop aromas and tropical fruit flavors. "Certified Dank will be hazy with a load of dry-hopping, and strong with an ABV of 8.4%," says Miller. "Some people are calling this type of beer a 'West Coast Hazy IPA,' but it's what I like to call a 'New Dankland IPA.' Either way, it's going to be a fun beer to drink!" NTX Beer Week launch parties for Certified Dank will occur at The Common Table - Uptown on Tuesday, November 6, and at Noble Rey's taproom on Friday, November 9.